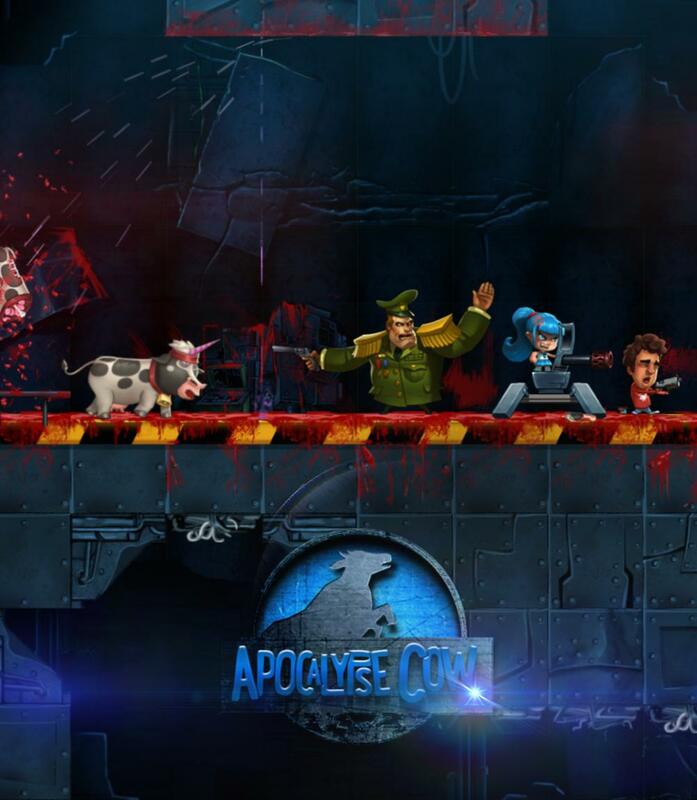 Apocalypse Cow in one breath: A jump and gun platformer with the ability to slow the world down while you, as a cute little girl, reduce your favourite entertainment media into pools of blood and mockery in this parody of the game industry. Inhale. Or as we recently put it, it's Super Mario on Crack with a Weapon.